Chris Payne and Rob Barnett are two formerly obese economists who started out as colleagues but soon became allies in creating a practical plan to lose weight. They faced the same obstacles to healthy living that so many others face today: long hours, frequently ordering in or eating out, and snacking due to stress or boredom. When Chris and Rob finally committed to healthier lifestyles, they lost weight by applying what they know best - economics - to their waistlines. In The Economists' Diet, Chris and Rob outline a straightforward, sustainable path for changing your eating habits that will help you to achieve your weight-loss goal. By combining economic principles, real-world data and the authors' personal experiences, this book teaches you how to control your impulses to overeat and learn how to approach food in a healthier way. Payne and Barnett provide six behavioural best practices that you can use to achieve lasting results, without extreme dieting or giving up your favourite foods. 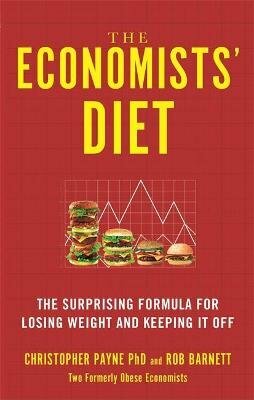 The Economists' Diet is a unique and effective way to lose weight - and successfully keep it off.